Well, it seems Friday came after all, even though it took its dear sweet time to get here! I remembered my camera today, but apparently I didn't take as many pictures as I thought! That's alright, I'll share with you what I have. 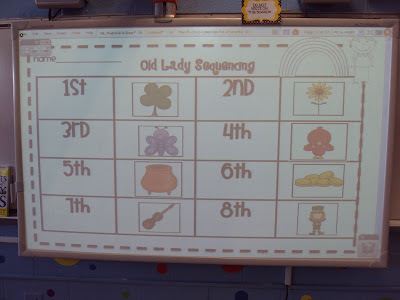 We read There was an Old Lady Who Swallowed a Clover, and my kiddos absolutely loved it! After one reading, they seemed to have memorized the order of the story! I was so proud of them! 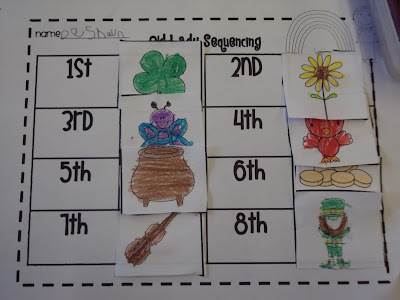 We also worked on sequencing the story independently, which they did a great job of. We also talked about making sure that our colors made sense! 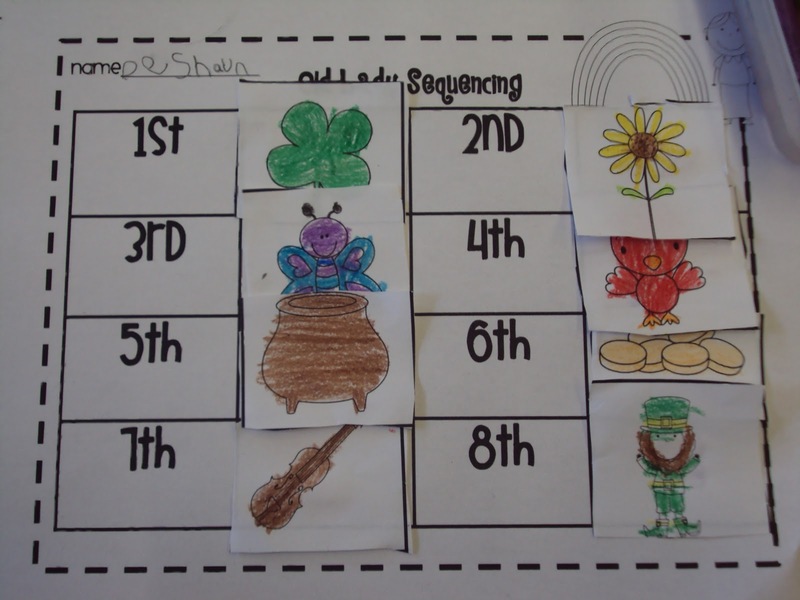 Some of my kinders learned that clovers aren't purple, and that the old lady couldn't be green! 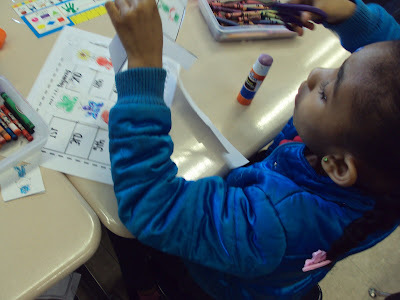 We used the packet from Live, Love, Laugh Kindergarten, and my kids had a blast. We're also working on numbers 11-20, which I'll show pictures of next week (apparently I didn't take any pics during math!). 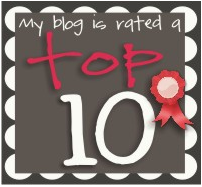 Kaleigh from Kaleigh's Klassroom was gracious enough to award me the Top 10 Blog award!! Thank you so much! I in turn nominate the following blogs for this award!! Ok, I did 7, my mom is ringing my doorbell for dinner! Talk to you later!! Looks great! Enjoy your dinner!! HI Angela! I nominated you for Top 10 also! Thank you Erica, I went to your blog to nominate you, and I saw that someone had beat me to it!! I was like, darnit!!!! Your blog is so cute! Love the layout! Awww, you are so sweet! Thank you not only for the award but for also leaving such kind heart notes! Well, you're Top 10 again! I love your colorful blog and kiddos look like they had fun at school.